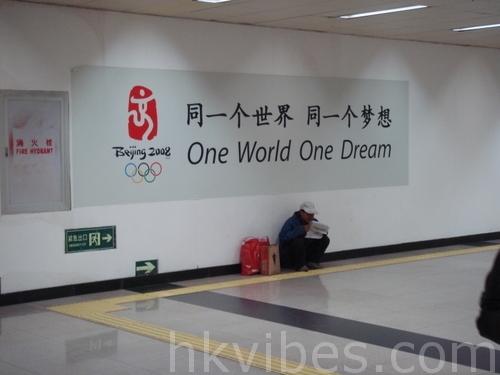 hkvibes : The Olympic Games are coming! This picture was taken more than one year ago in Beijing. With the arrival of the Olympic Games, Chinese people are learning English. For example, all taxi drivers in the town already know basic words and sentences so as to better communicate with foreign passengers. Although the lessons are rather short (seems to be less than 1 hour a week), progress is made and the drivers will be ready on time. Some Beijing inhabitants spontaneously start learning English as well.